Unity Mutual Life Insurance Company merged with Columbian Mutual Life Insurance Company in July of 2011. 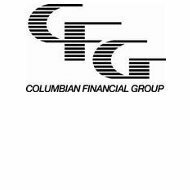 The business will now operate under the name of Columbian Mutual and is part of the Columbian Financial Group. Columbian Mutual is licensed to underwrite insurance throughout the United States and Puerto Rico. Columbian Mutual has been in business for over 100 years. Columbian Mutual Life Insurance Company agents are all independent agents. However, representatives are available to assist customers at the home office at (607) 724-2472. In order to speak to a Columbian Mutual Life Insurance Company representative, you have the option of calling the company at the number above or sending an email via the link on the website. Once you submit your personal information, a representative will contact you at their earliest convenience. If you are interested in selling Columbian Mutual Life Insurance products, fill out and submit the online form. A representative will contact you shortly. In addition to life insurance policies, Columbian Mutual Life Insurance Company also offers insurance riders for death benefits, waivers of premium, and accidental death. Columbian Mutual Life Insurance Company also offers a supplemental Medicare Plan to help cover the costs of Medicare Plans A and B in the states of Oregon, Arizona, Idaho, and Washington. Within the plan, there are three different options with different costs and benefits. Some of the benefits of the Medicare Supplemental Plan include providing additional coverage for hospitalization once Medicare stops paying. In addition to medical expenses paid by Medicare, the plan under Columbian Mutual Life Insurance Company provides additional benefits for hospital outpatient services. Hospice care is also covered by the Medicare Supplemental Plan. The Medicare Supplemental Plan will also pay for three pints of blood each year. The Medicare Supplemental Plan can be reviewed at the following address online at: www.oregonhealth-insurance.com. Interested participants can also call (800) 884-2343 or by clicking on the link provided. Potential policyholders must apply for coverage. The application can be downloaded on the company’s website. Under the name of Student Assurance Services Incorporated, Columbian Mutual Life Insurance Company manages a student insurance policy. Eligible individuals include students ages five through 18, college students, and vocational or trade school students. Under the Best Benefits Discount Medical Plan, expenses are discounted from participating providers. However, policyholders must make payments in full to the providers. In addition to the benefits listed above, the Best Benefits Discount Medical Plan also includes a 24-hour nurse hotline through the Mayo Clinic. Under Columbian Mutual, Student Assurance also offers short-term temporary medical coverage. Eligible individuals include recent graduates, individuals between jobs, or individuals who can no longer be covered under their parent’s insurance plan. For more information regarding the Best Benefits Discount Medical Plan, please call (800) 308-0374, or visit their website www.sas-mn.com. Claims are not to be filed through Columbian Mutual. Instead, claims should be submitted to Student Assurance Services Incorporated either via the website or by downloading the form and sending it in to the company at the address under Contact Information. Directions to the Binghamton office are available on the website. According to the Better Business Bureau, Columbian Mutual Life Insurance Company is rated a D by the Better Business Bureau. The reason for such a low rating is that there was a complaint filed and Columbian Mutual Life Insurance Company never responded to the complaint. The one complaint that was filed was due to a problem with the product or the service of the company. The Better Business Bureau closed out the complaint in 2010 without any response from Columbian Mutual Life Insurance Company. A.M. Best rates Columbian Mutual A- according. Find and compare active health care providers by entering your zip code now!